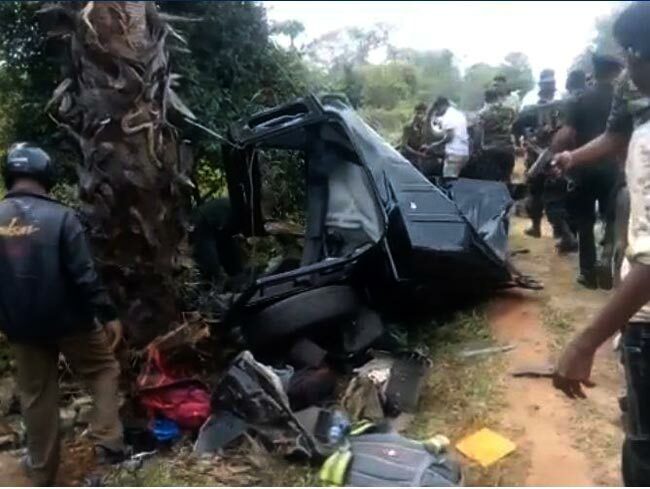 Two Army personnel have been killed and four others have been injured in a motor accident in Mullaitivu, stated the police. 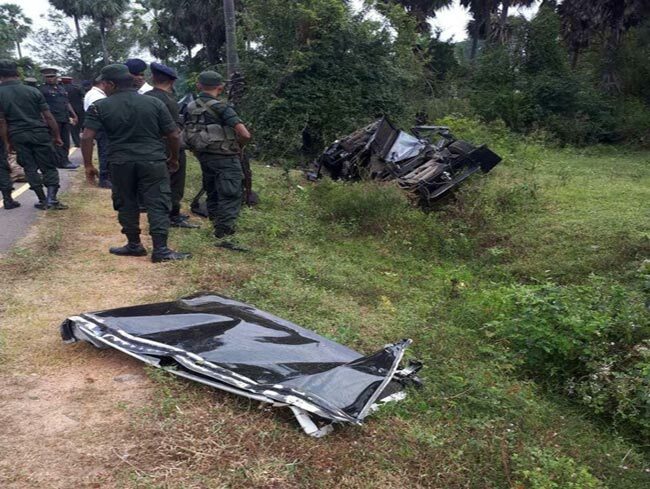 The deceased persons have been identified to be an Army Major and a Corporal. 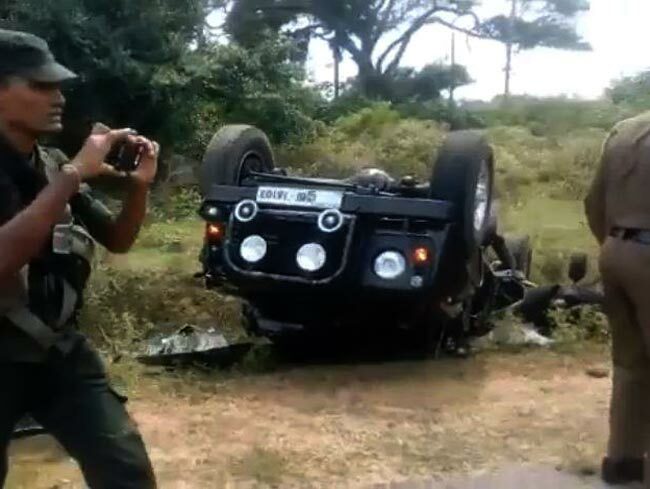 They had been returning from attending the Mullaitivu tour of the President, along with several other Army personnel. 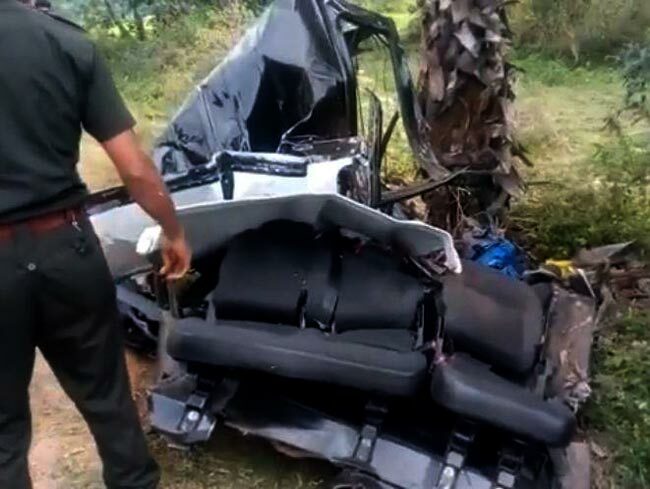 Reportedly, the vehicle veered off the road and hit a palm tree in Nedunkerny area when the driver of the Army Cab they had been traveling on had lost control of the vehicle. Six injured persons have been admitted to Nedunkerny Hospital for treatment where the Major and the Corporal had succumbed to the injuries. 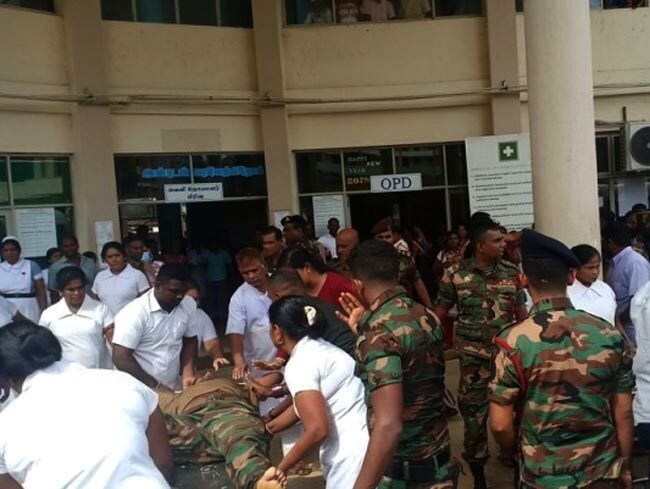 Rest of the injured persons has been transferred to the Vavuniya Hospital for further treatment.